After reading a book, people always start by talking about the heroes and how well (or poorly) they did in their adventures, but not many give much thought to the secondary characters and the importance of their role in the story. Here I’ve compiled the profiles of three major figures in The Hobbit and have attempted to define their purpose. The first picture we get of him isn’t that interesting. He’s “an old man with a staff” with a “tall pointed blue hat, a long grey cloak, a silver scarf over which his long white beard hung down below his waist, and immense black boots” (13). His image isn’t that impressive, but his name and the stories it calls to mind are. Gandalf is called the wandering wizard. He’s in the business of adventures and his name is associated with all kinds of wild stories. Because he’s traveled so much, he knows his way about the land and the dangers of it, he’s made friends everywhere—like the Rivendell elves and the Eagles—and he also speaks many languages. Even the language of the wargs, which is pretty incredible considering it’s made of growls and barks. Other descriptions that he’s given are ingenious and clever, and Gandalf is a little bit cocky about this. After their flight from the goblins, Bilbo asks him how he found them in the mountain and it says, “The wizard, to tell the truth, never minded explaining his cleverness more than once” (86). There’s also the instance where he’s explaining how he came to have the map, where he says “a nasty dangerous business it was. Even I, Gandalf, only just escaped” (30). Because he’s so powerful it’s certain he’ll survive in most situations. Gandalf’s role is to be the inciting incident of the story. He provides them group with the map, the key, and more or less a plan of getting there. He’s the driver, the guide, but he leaves them hanging halfway there to attend some unknown business in the south. Even while traveling with them, he’s prone to disappearing and then making random appearances just in the nick of time. Like when the group is captured by the trolls, then dawn comes, turns them into stone, and Gandalf springs out from behind a tree saying “Excellent!” as if he’d planned the whole thing (42). There’s also the time when the Great Goblin orders their deaths and suddenly the lights go out. And “of course it was Gandalf” (62), because he’s the only one who has the habit of appearing out of nowhere and saving their hides. Gandalf leaves the group soon after they enter the forst and doesn’t appear until three chapters from the end, this time halting the humans, elves, and dwarves from tearing into each other. There’s a line at the end—after they’ve won the battle and (almost) everyone is safe— where the Elvenking cries out, “May you ever appear where you are most needed and least expected!” (247). I think that sums up Gandalf’s role in The Hobbit. Out of all the dwarves, Thorin is the only one with a distinctive name and a last name. The first picture we get of him is after he arrives at Bilbo’s house and hangs his hood, “a sky-blue one with a long silver tassel. This last belonged to Thorin, an enormously important dwarf, in fact no other than the great Thorin Oakenshield himself” (18). His role is to be obstacle maker because his actions, or lack of actions at times, make Bilbo step up and take charge. From the very beginning Thorin leaves most things for the others to do, like when they’re doing the dishes in Bilbo’s house. All the dwarves got up but “not Thorin, he was too important, and stayed talking to Gandalf” (19). The only instances where he takes the lead are whenever they encounter other important characters like the king of the wood elves and the goblin king. Thorin promptly shuts up and goes help the others. By the end of the story, the dwarf king comes to trusts in Bilbo’s judgment. He passes on the reigns of leadership and asks the little hobbit for a plan to get the treasure out. From early on, it was clear Thorin held a deeper grudge than the others. He’s not on this quest to save his ancestral homeland, he’s there because “we have never forgotten our stolen treasure” (29). So, Thorin becomes a bigger obstacle when he’s plagued by the dragon-sickness (aka greed). 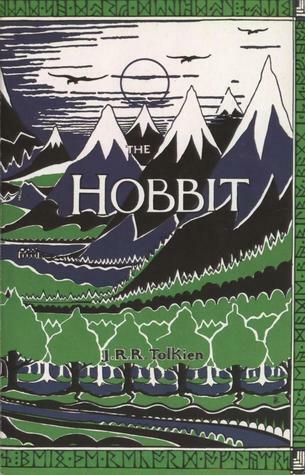 His decision to keep all the treasure starts a war and “Bilbo, of course, disapproved of the turn of affairs” (225). Yet he’s inevitably trapped in the mountain. Once again, the little hobbit steps up, or in this case steps outside and give The Arkenstone to the Bard and the Elvenking to use as leverage. When Thorin finds out The Arkenstone is gone, he curses Bilbo, ‘unfriends’ him, and casts him out. Yet, in the end, Thorin dies repentant and apologizing to Bilbo. Gollum only appears in one chapter, but his presence is very memorable. Though he’s an odd creature, he’s quite clever and devious. Like when he first meets Bilbo and acts friendly until he could find out “more about the sword and the hobbit, whether he was quite alone really, whether he was good to eat” (69). His intelligence is more accentuated in the riddle battle, as Gollum is really good at them. Though seemingly unimportant in relation to the whole book, I see Gollum as a sort of game changer. It’s in this chapter where Bilbo officially becomes a thief by stealing Gollum’s ring (You know…THE Ring). Also, because of Gollum’s deviousness during the riddle battle, Bilbo has to match his cunning and deceitfulness to come out of the game alive. Their meeting effectively turns Bilbo into a ‘bad’ hobbit. But other than this, Gollum is just a link to the Lord of the Rings trilogy where he plays a greater role. All three characters interact with our Bilbo and change him in some way or another. Gandalf takes him out of the comfort of his home and basically kicks him into an adventure. Thorin is a constant pain and makes Bilbo so mad he has no other option but to take charge. Gollum challenges Bilbo and pushes him closer to a darker and more devious side. Without these characters to push, pull, and mold Bilbo, we wouldn’t have a hero. Or an exciting story.